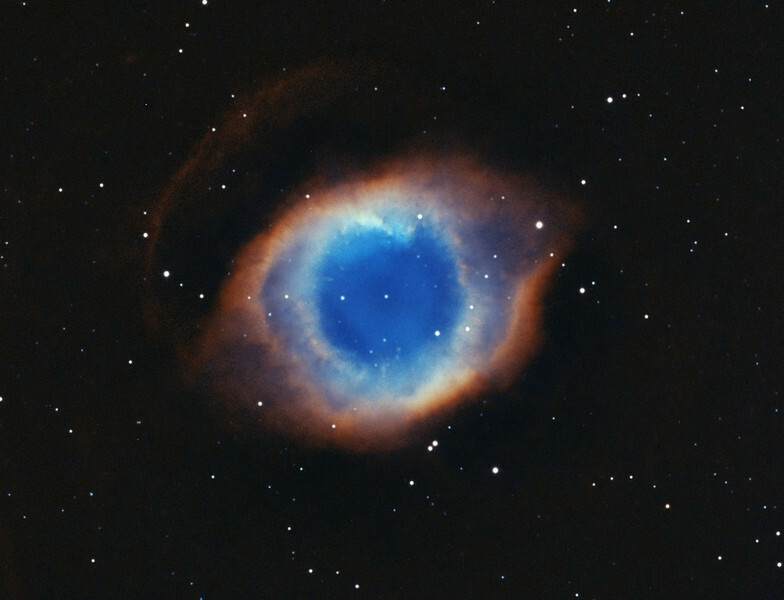 Helix Nebula 'Eye of God'. Taken with TEC140 @f5.6 and FLI ML8300 camera. 30 minute sub frames, Ha 5x30m, OIII 5x30m all binned 1x1. Taken by Lynn Hilborn, August 29 and Sept 07, 2011 at WhistleStop Observatory, Grafton, Ontario. Object only reached 20 degrees above the horizon. Published in Sky and Telescope magazine (March 2012) and SkyNews magazine (January 2012).